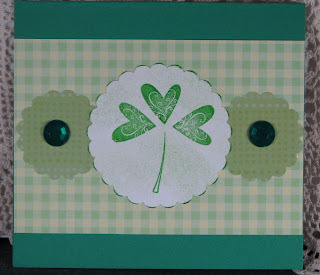 I created this card which is the last of the March challenges at http://www.couturecardstock.com/blog! 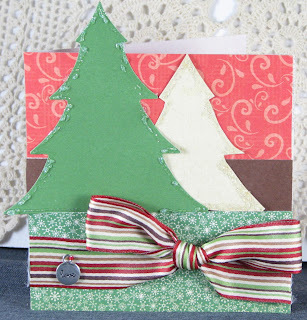 I cased Alyssa McGrew's Joy Christmas card which was featured in the Vintage Christmas collection. 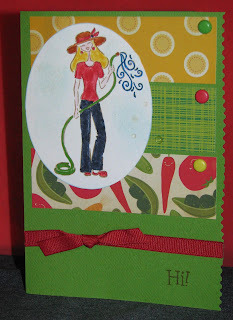 When I saw her card, I was inspired to make one similar to it even though it is warm and sunny where I live today!! I used a "love" charm instead of the word Joy! 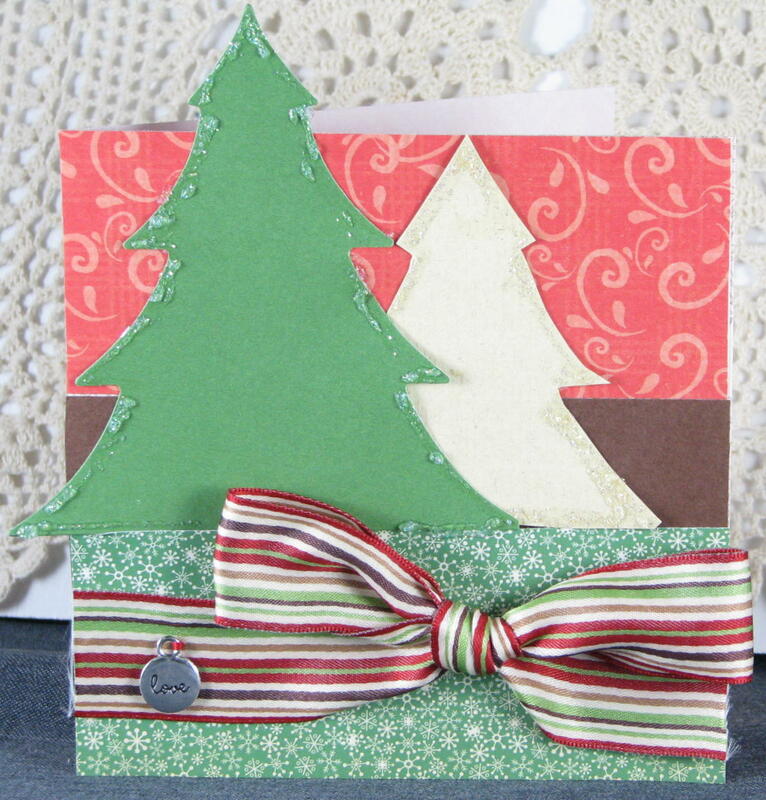 After posting this card, I see I will need to trim up the ribbon a bit before giving this card to someone! 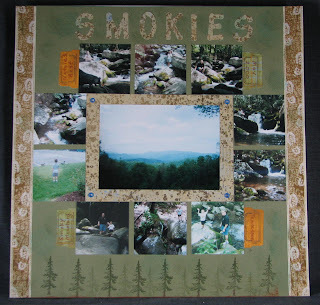 II had these old pictures (taken pre-digital camera). 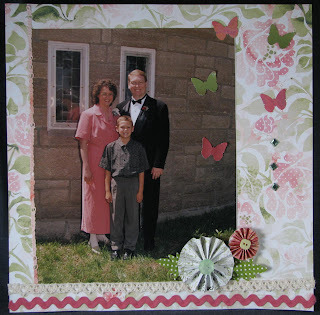 My family looked so small in the pictures that I thought it would be hard to scrapbook them. 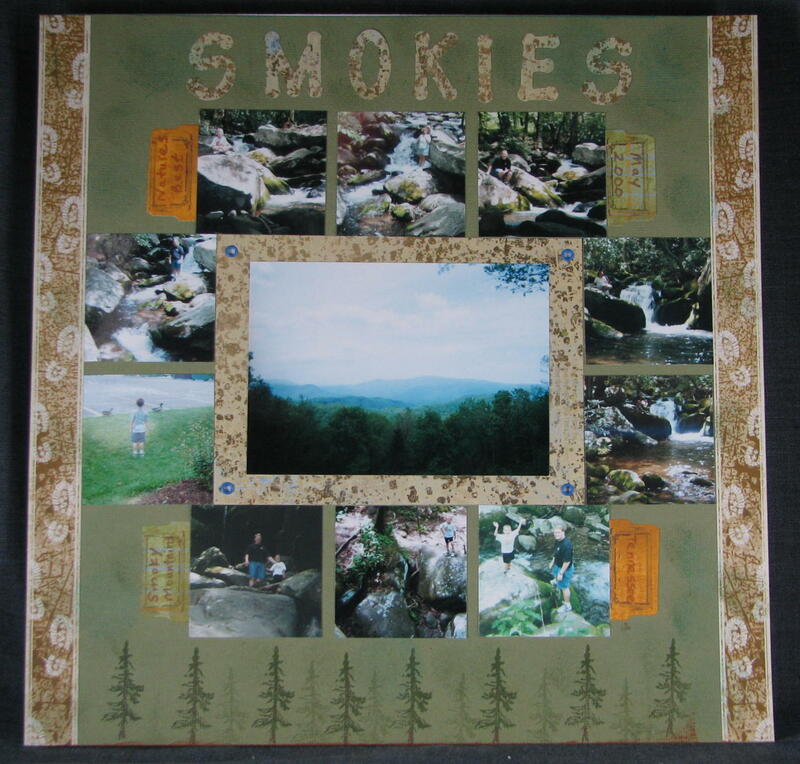 I decided to punch out squares from within the pictures and then surrounded one large shot of the Smokies with the squares. I stamped pine trees using 1st and 2nd generation stamping. Wedding Time -- You Made It! I made this card for my cousin Ted's first marriage. 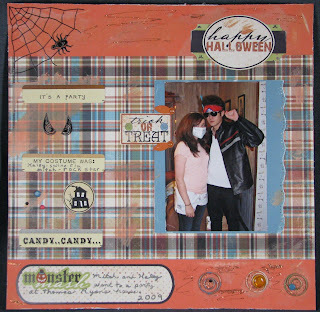 When you consider that he is going to turn 44 the day after his wedding, you can see how it fits the http://www.couturecardstock.com/blog/ to celebrate a milestone! This card uses their wedding colors! Solid blue is vellum. Print is flocked Anna Griffin. Flower is 8 layers of vellum flowers that I cut with my Sizzix. There is a Kaiserkraft diamond jewel in the center! Thanks for looking I hope you enjoy it! Caardvarks had a lacy challenge. I thought this was a fun card to do! I used some liquid glass on the butterfly and flower! 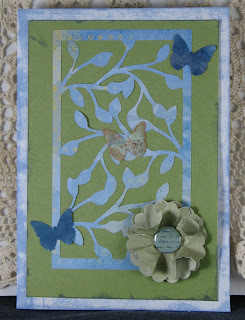 I used Couture Cardstock's fallen leaf as the base of this card! 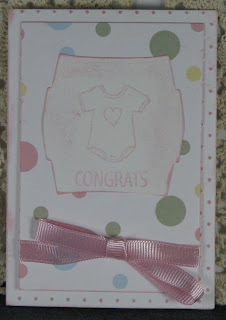 Doesn't it hold up well to embossing?? 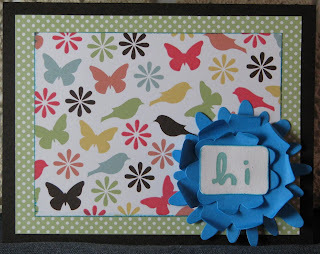 Said only use cardstock--this was easier than I thought it would be when I first heard the challenge! I thought this card was really pretty. Wanted to spread the love around on this one!! Mitch and Haley--Mitch playing "guitar"
There is a story behind this picture. Mitch is play a little girl's pink guitar--he was asked to tune it. I thought it was so cute the way his girlfriend was looking over his shoulder that I had to do a layout!!!! That is why the guitar looks so little and why I printed the picture in sepia! 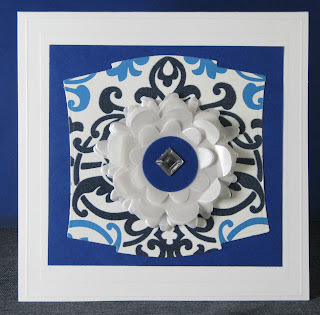 I am entering this in a challenge at The Studio--use bows or buttons (or both). 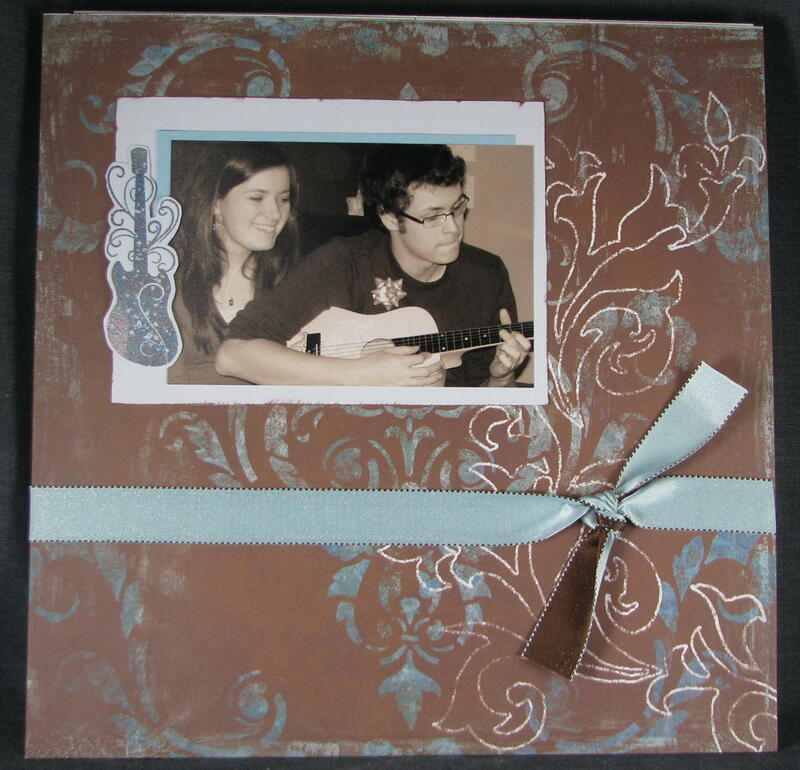 I thought this ribbon was so beautiful that I kept it very simple--just a non frilly bow (no extra loops) with ribbon and an embossed image of a guitar with a few layers of ink-edged paper under the sepia-toned picture! 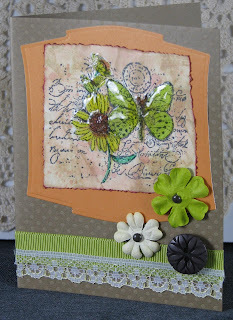 I made this card for the http://www.couturecardstock.com/blog challenge to add stitching (real or faux). I added faux! 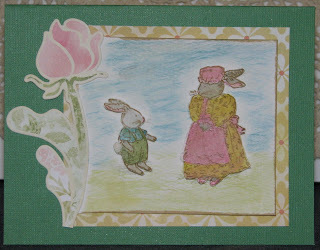 I used my watercolor pencils to color in the bunny images. I also pop-dotted them to make them stand out better. The boy bunny's tail has some liquid applique on it! Fun sketch this week! 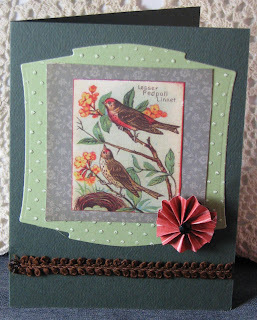 I made this card this morning for the http://www.couturecardstock.com/blog challenge to use red. 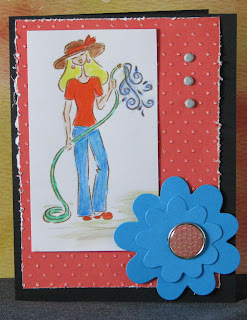 The rose on their inspiration piece got me in the mood for gardening. Earlier, I had seen a sketch on PCP that inspired the particular layout! I used Couture Fallen Leaf--which is so gorgeous in person! Patterned paper is Cosmo Cricket--goes so nicely with the Couture! 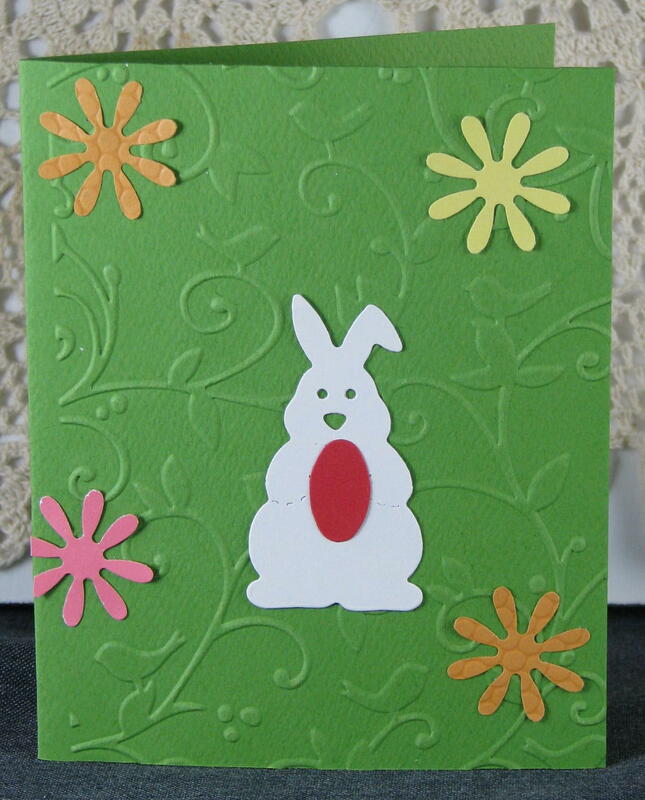 The ribbon, solid cardstock and dotted cardstock are all American Craft! 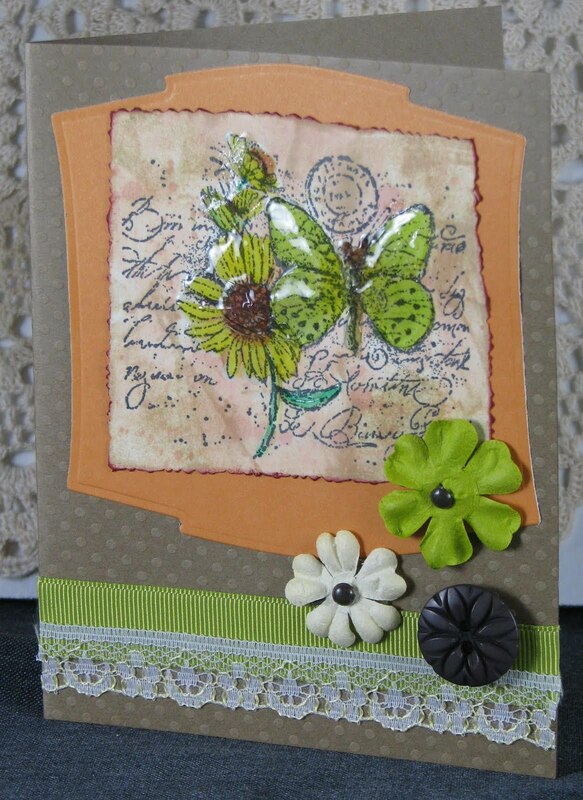 Green textured is from Autumn loose papers pack; dotted paper is Letterbox Hello, ribbon is a roll labeled Everyday 2 2008. Green is my favorite color so I really enjoyed this challenge! I had a lot of fun with this challenge! I blog hopped this morning, and I was immediately excited to spend part of my day off from work creating this beautiful layout! I used all of the required elements set out by all of the lovely FIT girls! I loved the ideas they presented! 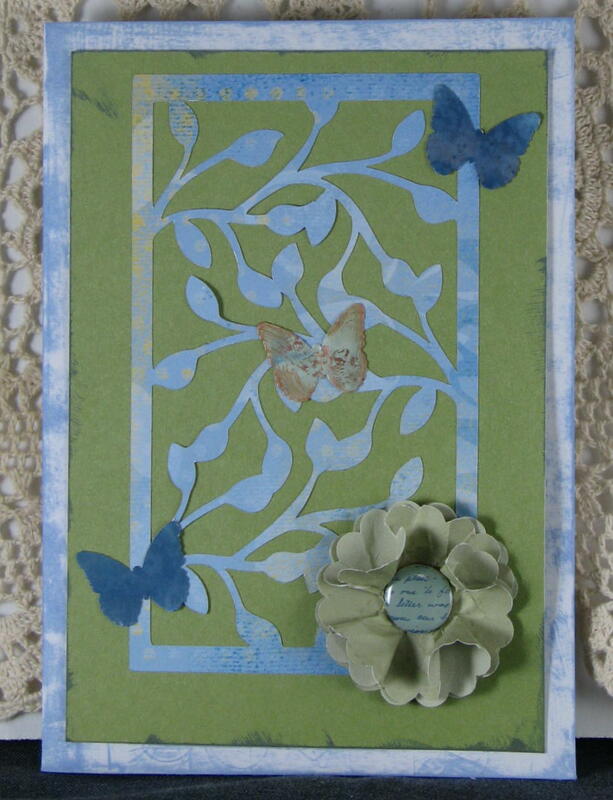 It was fun to make the paper flowers and also use the lovely butterflies along with the other elements. How can you go wrong with pink and green?! Hope you can see the details well enough! Some of the butterflies have Tim Holtz crackle paint and the others were on glossy paper which was first inked and then salted and left to dry to create a cool look! 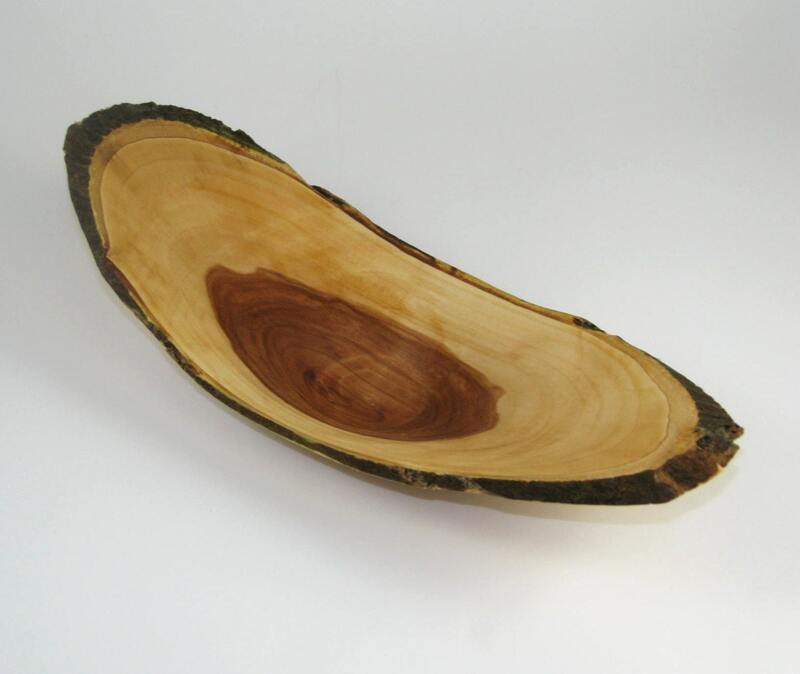 UPDATE: I ended up being the winner of the Blog Hop! What fun! This was a fun one for me! This card fits Couture's challenge for Saturday March 20! 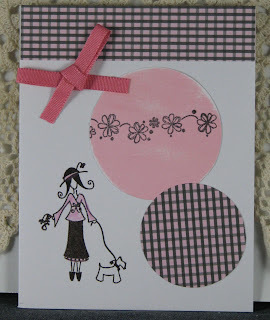 http://www.couturecardstock.com/blog/ if you would like to play along. Palace of Fine Arts Rotunda in San Francisco, California. My husband and I celebrated our 10 year anniversary! Hope you enjoy the layout. 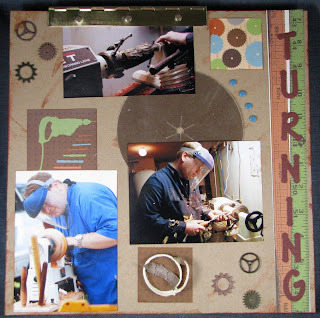 I used Tim Holtz sprocket gears; real sandpaper disc that my husband actually uses during the turning process; a cutoff of a hinge he used on a drum sander he built; the diecut letters are from additional sandpaper he uses; wood chips made as he turns; and some cute paper showcasing other tools he uses; i ink distressed the edges of the paper and the photos. Used Sketch #114 from Sketch Inspiration. 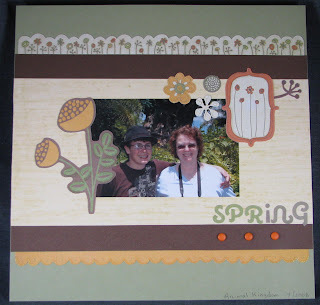 Couture Cardstock's challenge was to use the word SPRING on a layout. 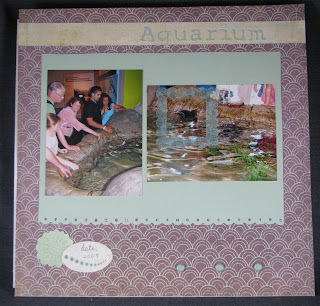 Yeah--I did an old picture of my son and myself at Animal Kingdom when we were there a couple of Springs ago! Hope you enjoy! 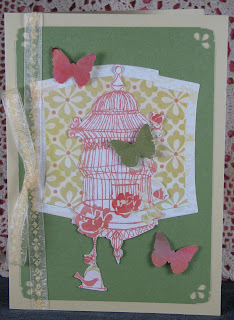 NOTE: Green butterfly has Tim Holtz Crackle Paint; Salmon colored butterflies are on white glossy paper which I inked with shades of pink/salmon/green and then spritzed with water and sprinkled with salt until it dried. 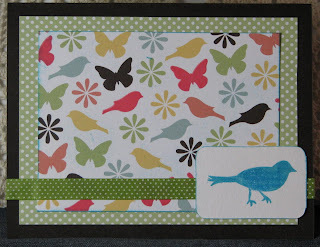 Cut butterflies out with a Martha Stewart punch! Today's challenge was to use buttons on a layout. Finally, I was inspired to do a scrapbook layout--my passion!!! Hope you enjoy! 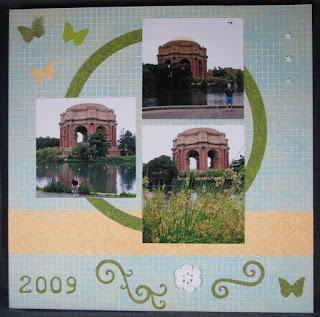 "Moxie Fab World Challenge: Diggin' on Doilies & Lace"
Moxie Fab World had a cool challenge. 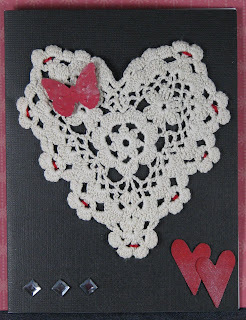 I used red floss to sew my doilies to my card I thought the addition of the diamond Kaiser jewels in the lower left added a modern touch to the card. Butterfly and Red hearts have a little silver shine added. Hope you enjoy it! Here is my entry for the challenge tonight! fun. 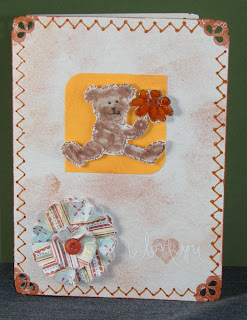 As soon as I saw the challenge, I thought I would make a baby card. This one whipped up in less than 10 minutes!! Used my Cuttlebug folder (swiss dots) for the card base. This card is so muted that my camera threw a fit before getting a decent shot! 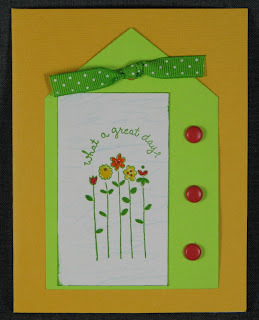 I was inspired by Moxie Fab World's Tuesday Trigger : Lovely on Green to create the card for CPS's Sketch 157 and vice versa. I loved the gingham on the chairs on the Moxie blog. It made me think more of St. Patrick's Day than anything else (probably because it is coming up soon). I also thought it would go perfectly with CPS's challenge this week and Stamp Something's challenge. I normally don't combine challenges, but this one seemed to fit. Hope you enjoy it! Here is my entry for the challenge tonight! fun. Monochromatic yellow! I had to whip this up in a hurry--going to have a busy day! 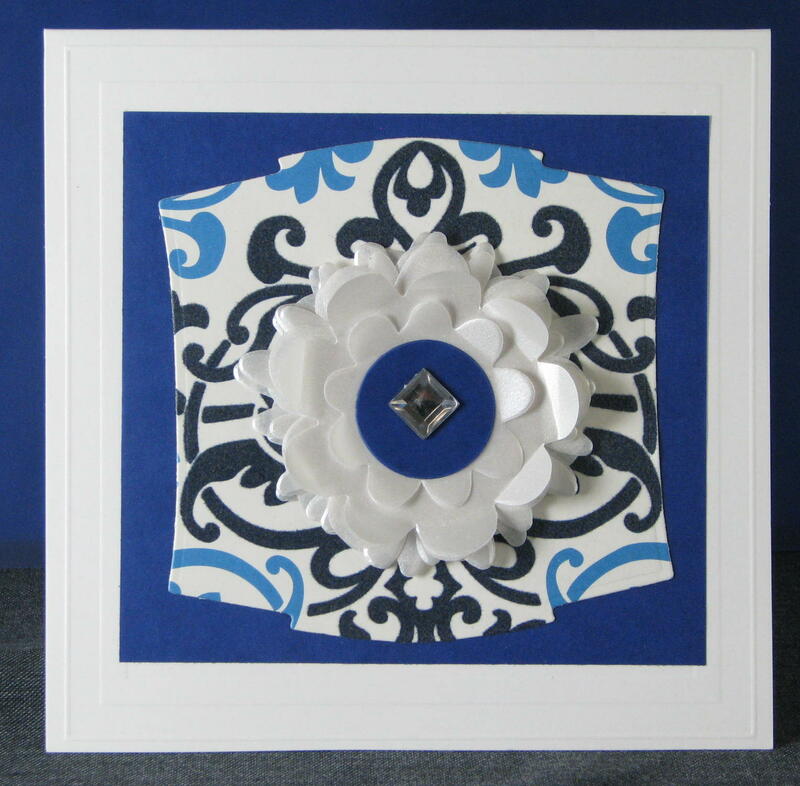 Couture Cardstock - Use paint somewhere on your project! Here is my entry for the challenge tonight! fun. 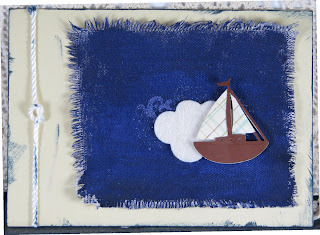 Painted canvas--added a felt wave and a little paper boat from my Cricut. I had been "sitting on this card" for a while trying to figure out what to do for the final touch and make it really special. 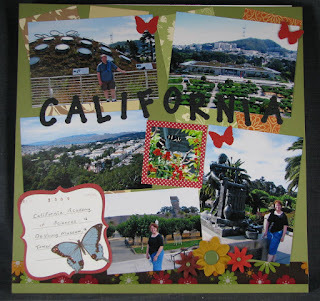 When I discovered Couture Cardstock's site today, I received the motivation to finish it! I had the background and the lion already finished--didn't know how I wanted to finish it off! P.S. Couture's card stock looks very beautiful. I look forward to trying it soon! 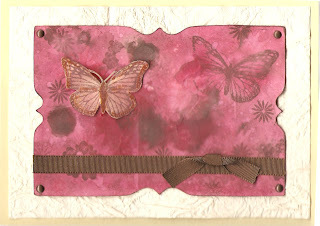 Simple card--copper stickles on butterfly image. Looks much better in person! 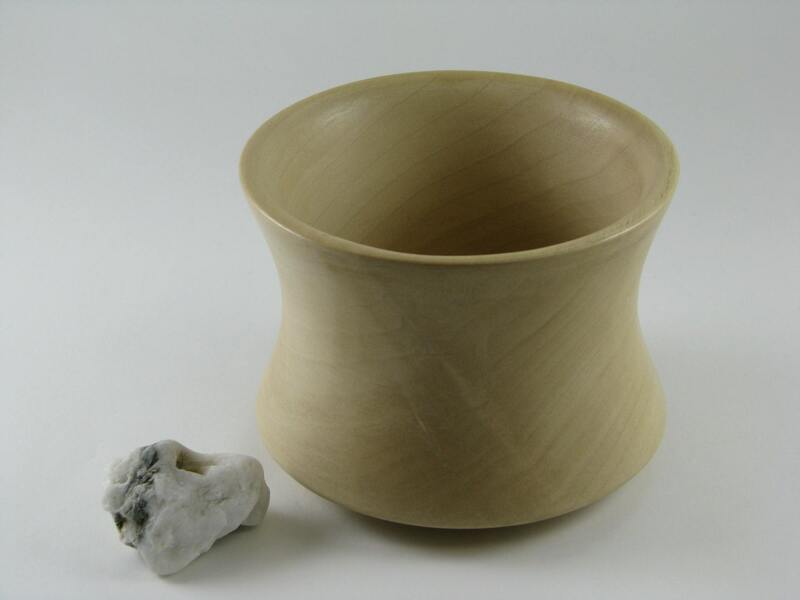 There are a dozen things on sale. 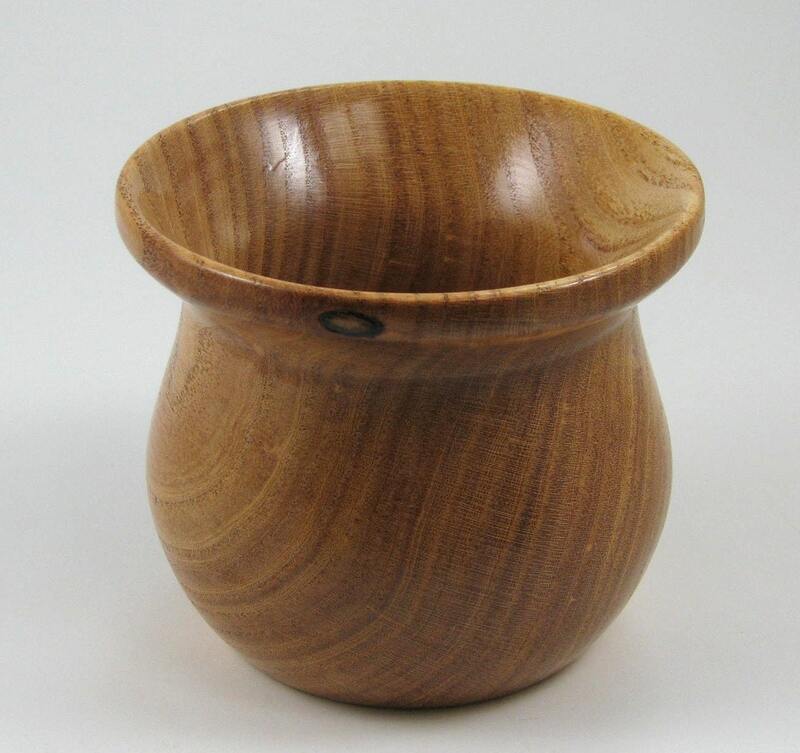 Head on over and check out his sale! I guess I am lucky they let me take one picture!